(Dear) friends of mine came to visit recently and we tripped around this little country of Rwanda enjoying camping with impala and warthogs up at Mutumba Hills in Akagera National Park and driving all the way to the other side of the country on the same day to stay in Gisenyi at the beautiful Palm Garden Resort set on Lake Kivu. I had meticulously planned the trip so when we whizzed past a refugee camp full of children playing football on the road from Musanze to Gisenyi, we were taken aback. I knew of the camp’s existence but didn’t know where it was. After having a jolly old holiday time, it was a sudden sobering reminder of a seemingly never ending and tragic tale going on in this part of the world. 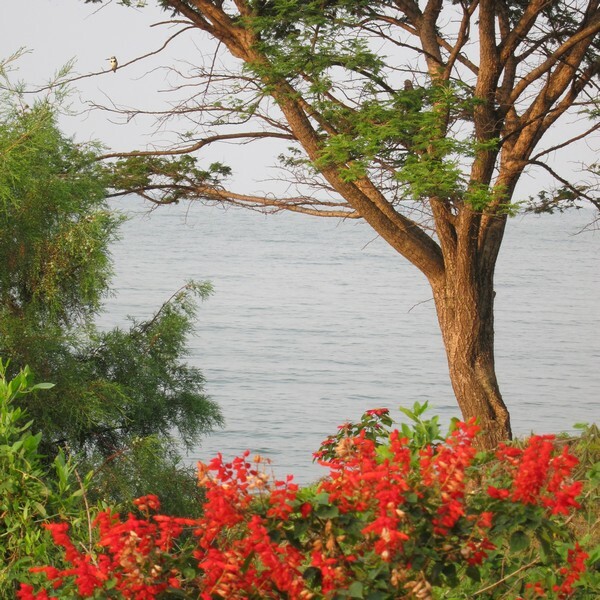 As we neared Gisenyi, we neared the border with The Democratic Republic of the Congo (DRC); so near that I received a welcome mobile network text. The debate over the latest activities in Eastern DRC which has caused the need for this and other camps to be set up in the region, is hotting up. A much anticipated publication from the UN on whether Rwanda is involved in the recent activities or not has been delayed to some speculation here and here and rebuffed by the Rwandan government here. The Rwandan government vehemently denies any involvement and tempers are flaring in Kigali and Kinshasa. 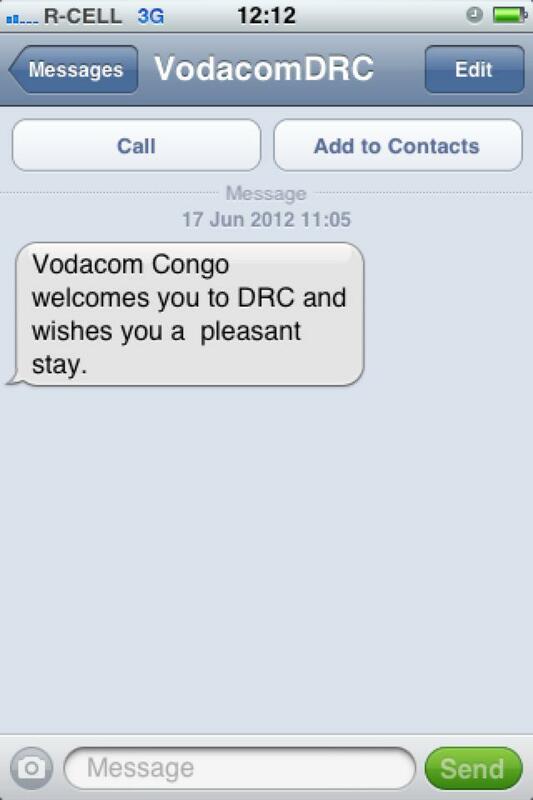 The more I read on the DRC, Rwanda and their strife, two things are becoming apparent. One: that I am deeply ignorant on the subject, Two: that it is an incredibly complex web of wars, genocides, colonialism, and greed. The horror the horror, indeed. I read Heart of Darkness by Joseph Conrad as a good Anthropology student (and guilt-ridden member of an old empire) a long time ago but it is back on my reading list as I try to fathom some kind of narrative as to how, in 2012, the miserable story grinds on. Historical context is everything although the way phrases like ‘heart of darkness’ are lazily/ignorantly thrown about when referring to African wars and corruption is problematic for me. If you feel as naive as I do and you’re interested in grappling with this story at the heart of Africa, and, I would suggest, the heart of everything, below are the books which have been recommended to me. I’m currently reading the exhilarating and illuminating book Blood River by Tim Butcher about his epic journey through the DRC following in Stanley’s footsteps. For fiction, I’m reading A Bend in the River by V.S. Naipaul set in Kisangani. Next on the list are Jason Stearns’s Dancing in the Glory of Monsters (he also writes an excellent and thought-provoking blog here), Adam Hochschild’s King Leopold’s Ghost and the highly recommended Poisonwood Bible by Barbara Kingsolver. Have you read any of these? Are there others you would recommend? And what order should I be reading these in?! Any advice gratefully appreciated. And if you can’t be bothered with any of the above then I suppose you could always stick Apocalypse Now (Redux) on.